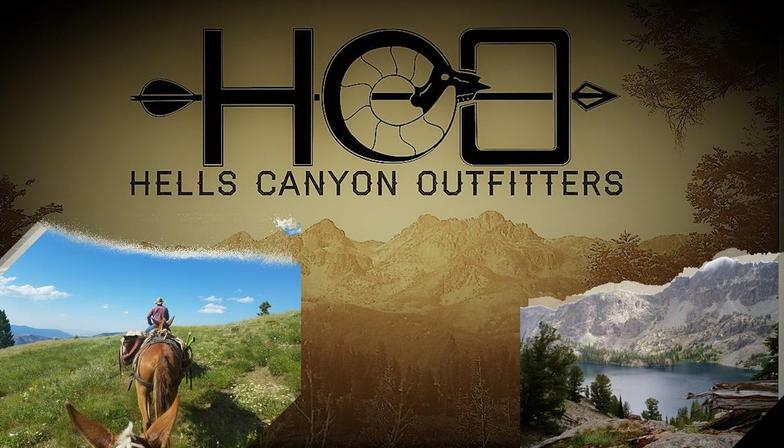 Hells Canyon Outfitters alpine lake fishing and summer pack trips are conducted in the Seven Devils Mountains in the Hells Canyon National Recreation wilderness area. Our back country camp is located near many high mountain lakes. This location gives anglers and sight seers the opportunity to experience different lakes and various species of fish each day. Cutthroat and Rainbow trout are the available target fish in the lakes. 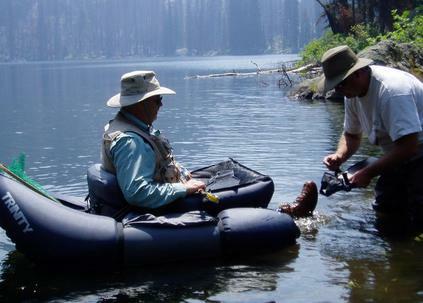 Fisherman can wade and cast or bring your float tubes and access the rising trout farther from shore. The wilderness base camp is located approximately 9 miles in and near Dry Diggins lookout tower. The camp is a traditional wall tent camp with a cook tent and smaller private tents for guests to sleep in. A day of fishing consists of an early mountain breakfast at camp and saddling up for your trip to the choice of lakes for the day. The lakes take anywhere from one half hour to an hour and half on horseback depending on your selection of species and adventure. We pack a trail lunch for picnicking at the lake, dinner back at camp and enjoy the campfire in the evenings. Guests are encouraged to experience an evening trip to Dry Diggins lookout tower to watch the spectacular sunset over the deepest part of Hells Canyon. 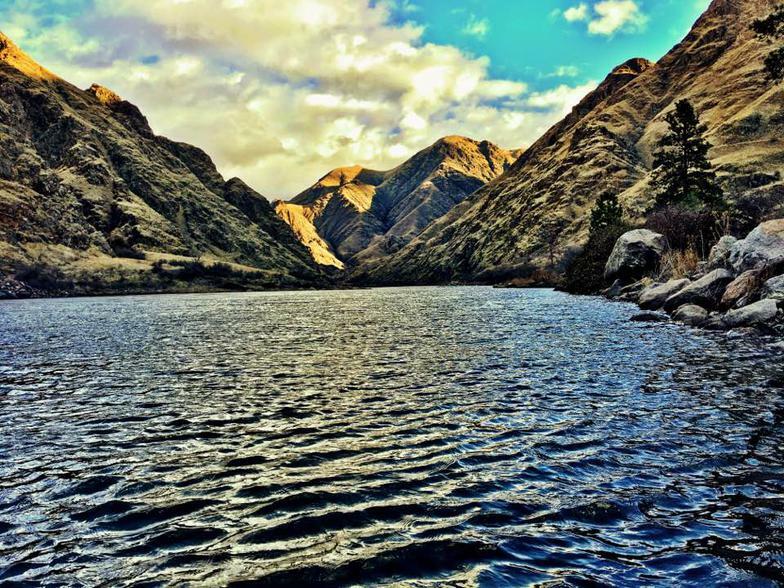 Hells Canyon and the Seven Devils area is a very diverse landscape. It includes the Snake River at the bottom and the high alpine peaks of the Seven Devils. The area is home to many wildlife animals including elk, mule deer, mountain goats and the reclusive mountain lion. During a trip visitors have the chance to see any of these species while on the trail. 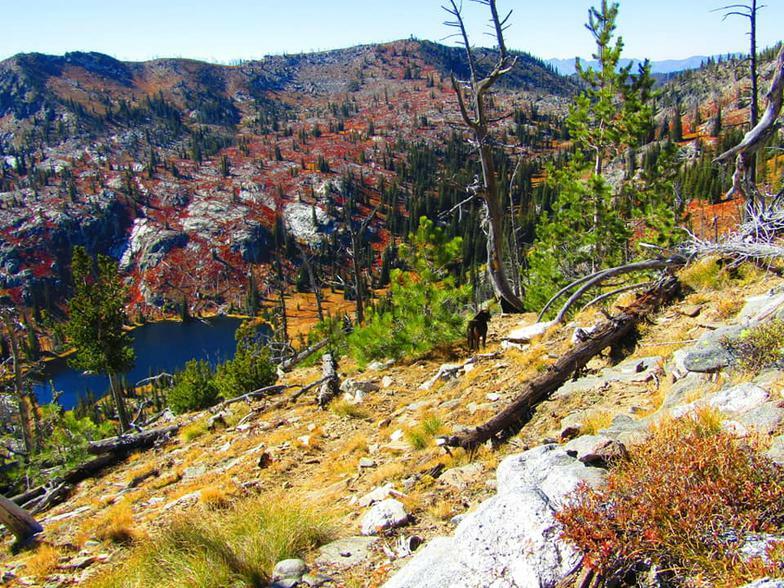 The scenery, fishing and solitude of this wilderness area is a great destination for sportsmen, photographers or people who want to just get away. Our summer trips are typically four days with a minimum of 4 guests per trip and a maximum of ten. The prices include all meals, a full western style wall tent camp set up along with saddle & pack stock and trail guiding during your trip.